From the left: Cora Wesley, 12, Claire Johnson, 15 and Jacy Beeler, 14, slice pizzas in preparation for the annual Teen Challenge Pizza Taste Off on Tuesday at the Joplin Public Library. 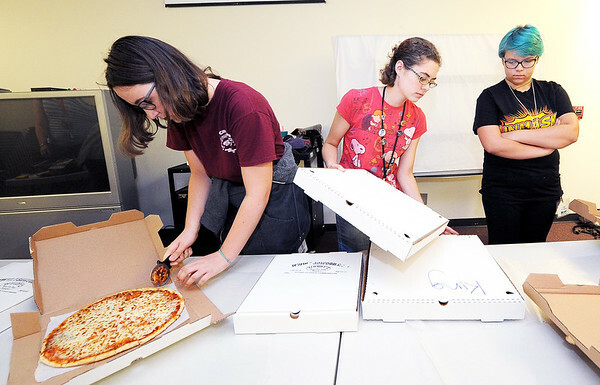 Eight pizzerias donated about 20 pizzas for the event, which traditionally marks the end of the summer reading program for teens. Results for the contest will be posted on the Joplin Public Library Facebook page.